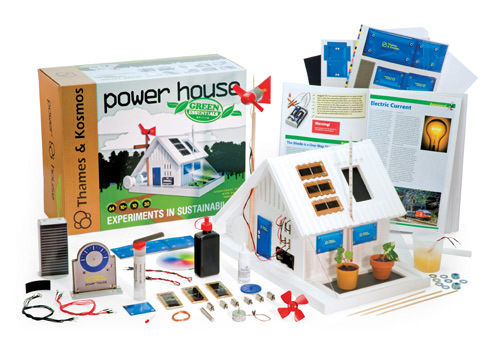 The kit contains: foam house and plastic greenhouse parts • frame • base • wood glue • solar panel • compass • wire • LED (light emitting diode) • battery holder • small light bulb and holder • solar motor • magnifying glass • propellers, iron core • ring magnet • thermometer • test tube holder • measuring beaker • sand paper • copper foil • zinc plate • wire mesh • many small parts such as paper clips • screws • clips • lead sinker • washers • wing nuts • iron powder • wires • tubing • rubber bands • yarn • wooden components • cutouts for devices • and four color, illustrated 96 page Experiment Manual with 70 experiments and 20 building activities. 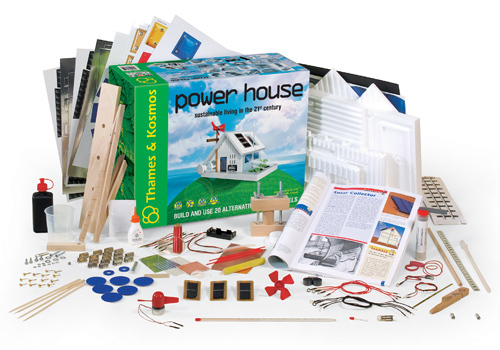 Thirty of the best experiments and the ten most important building projects from the original Power House kit are presented in this new Green Essentials Edition. The ten building projects include: the power house itself, a greenhouse, a solar cell array, a passive solar collector, a solar oven, an air conditioner, a refrigerator, a hydrometer, a lemon battery, and a wind power generator. 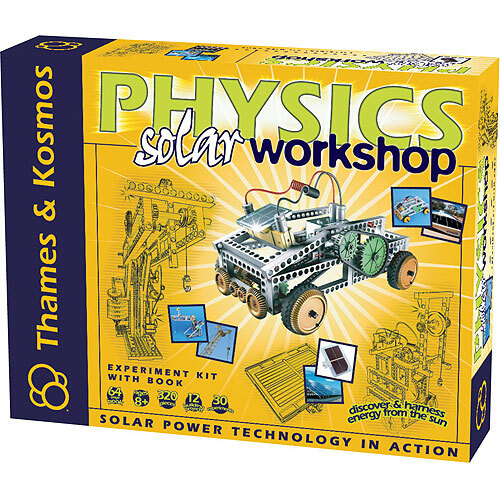 Physics Solar Workshop explores the topic of solar energy, focusing on photovoltaic cells. 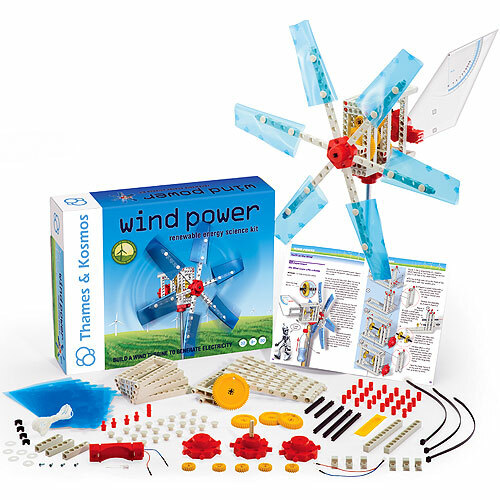 By building 12 models and conducting 30 experiments, you will learn how solar cells transform light into electrical energy, and how motors and mechanical devices can optimize the work done by this energy. You will build different types of vehicles and machines to demonstrate how gears can convert and transform power for different needs. 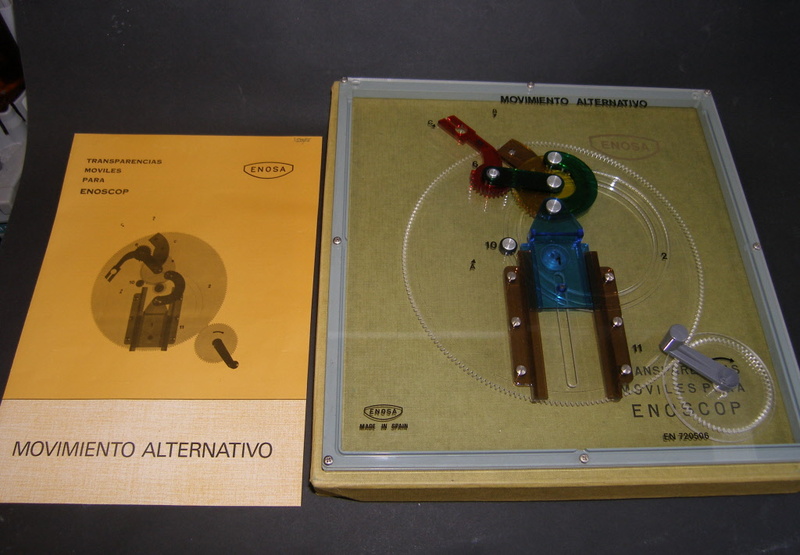 There are 320 parts, which are also compatible with the other kits in our Physics line. The 64-page book offers illustrated instructions for the projects. Developed with Greenpeace in Germany.